KEN YUSZKUS/Staff photo. 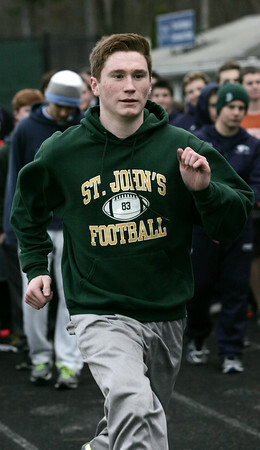 St. John's Prep's Aidan Kelley during warm ups on the first practice day of winter track. 11/30/15.